I suffer from occasional bouts of homesickness – that longing for people, places, and things that are uniquely Irish. It doesn’t happen very often though as I tend to live in head space rather than in physical space. But wherever I’ve lived, it’s always looked like home: I hang up my pictures before I unpack my clothes. 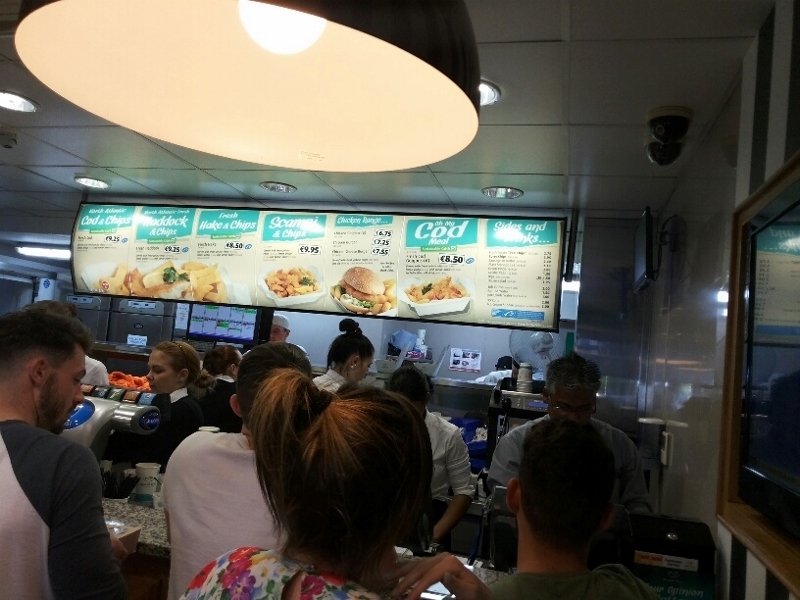 That said, there are some things that no one can do as well as the Irish – the main one being fish and chips. The UK comes a close second but even its offering isn’t quite up to par. 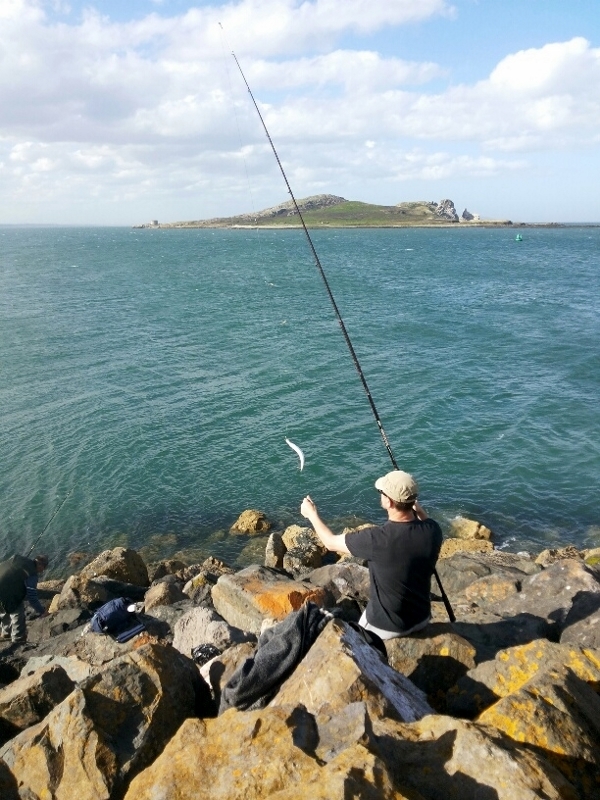 Howth on a bank holiday Monday – sun shining, seagulls squawking, sea-air salting. The fishing village in North Dublin is buzzing. Car space is at a premium but the gods are on our side. A pint or two on the rooftop terrace of a pub looking out over the harbour. Then a walk along the pier. And then the decision – where to go for fish and chips? Unbeknownst to me, two of Dublin’s oldest fish families are about to wage war – or so the Independent had it yesterday. 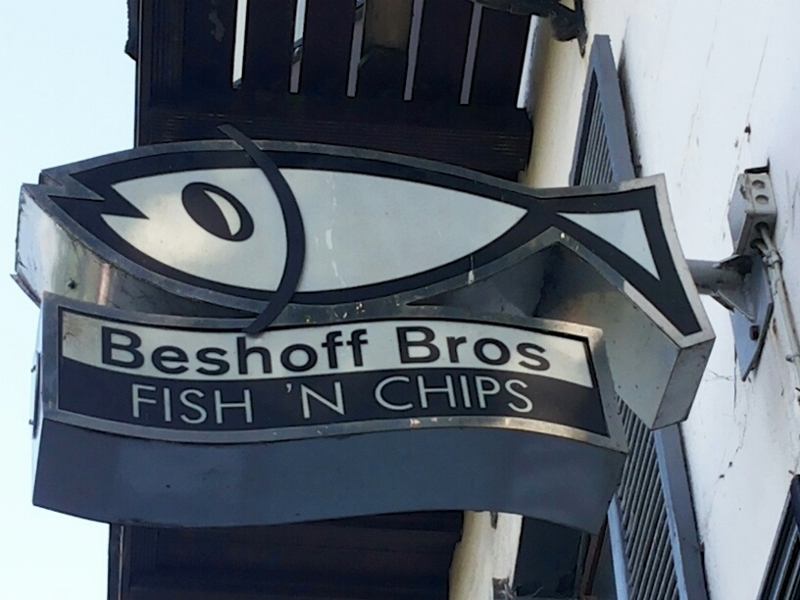 For years, Beshoff’s has been the lead chipper in the village. They’ve had competition from the more traditional Caffe Caira (the queue was out the door but a local volunteered that if it was fish we were after, we should go to Beshoff’s) and the newer Crabby Joes, owned by the legendary fish family, Wrights. But life has been good for Beshoffs. They run a tight ship. As you queue outside, someone marks your order on an order sheet that you then hand in, pay for, and collect your drinks. You get a number that shows on the screen as ‘Now Frying’. When it’s ready, the number turns green and you collect. All very civilised. I was impressed. The fish – Cod, Haddock, Hake – are all from sustainable catches and fried to within an inch of perfection. But the portions were huge. So much food goes to waste. I know I was hungry and yet I couldn’t finish my chips. And that rarely happens. The undisputed chipper king in Howth now has competition from the Burdock family who have been in the business since 1913. Leo Burdock is famous for his chipper over near Christchurch. His guest list of old includes the likes of Tom Cruise and Bruce Springsteen, Sandra Bullock and Russell Crowe. Even Mick Jagger has partaken in the mushy peas. And now he’s taken a pitch opposite the Dart station. John Beshoff reckons, though, that they still have the advantage – they cook in rapeseed oil so their food has 45% less saturated fat… mmmm… it did taste good. Why can’t we get a chip van into Budapest? It would make a killing. I don’t think that I’ll ever tire of Howth. There’s something really lovely about the place, with its lighthouse, its yacht club, and its marina. 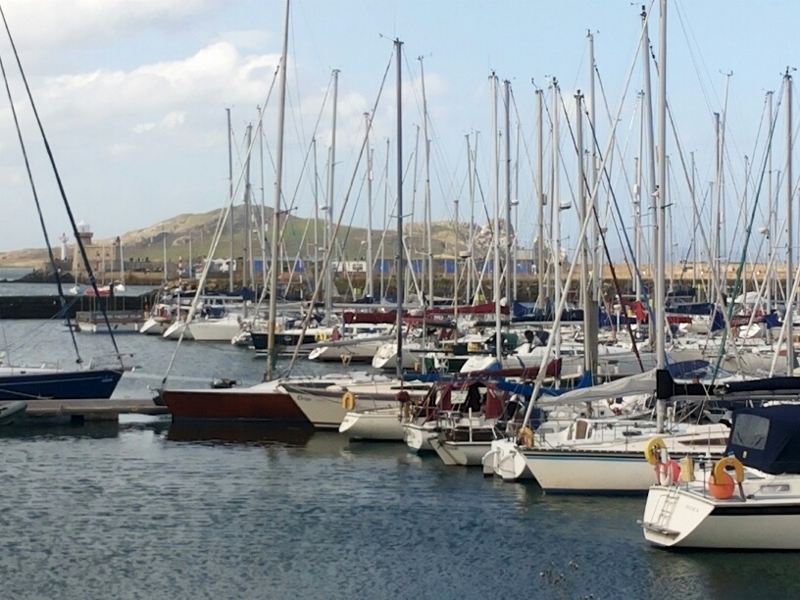 The boat that goes between Howth and Dun Laoghaire wasn’t running that day because of high winds so that’s something I can still look forward to doing. That, and maybe trying my luck with the mackerel off the pier. Watching yer man fishing brought back all sorts of memories of my Alaska days, of friends who had visited and wanted to go fishing, and of friends long gone who had taken me fishing. Yep – there’s a lot to be said for head space, memories, and the places they can take you. Ye olde birthday week is progressing nicely, thank you very much. My dad tells me that it hardly seems like 50 years since I screaming my way into the world with a massive big questions on my lungs: whhhhhhhhhhhhhhyyyyyyyyyyyyyyyy? I tell him that it can’t seem like 50 years, because it hasn’t been 50 years. That’s next year. Honestly! Men and how they might age you.